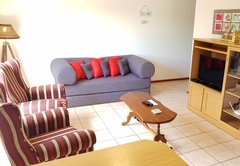 Kestrels Nest is a property providing self catering in Langebaan for up to 4 guests visiting the Cape West Coast region. 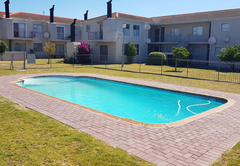 Situated in central Langebaan, Kestrels Nest offers accommodation close to shops and restaurants. This is a great place for a family vacation. 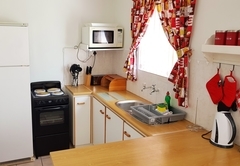 Kestrels Nest self catering apartment has two bedrooms. 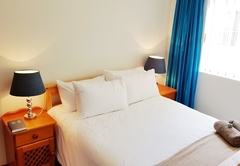 The main bedroom is furnished with a Queen-size bed and the second bedroom has bunk beds. 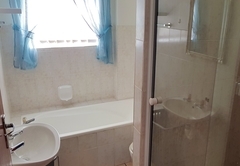 There is one bathroom with both a bath and shower. Bed linen and towels are provided. 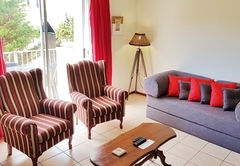 The open plan living area is comfortably furnished and includes a TV with DStv. 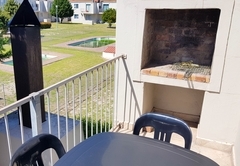 The kitchen is well equipped for self catering and there are braai facilities on the balcony. 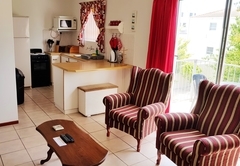 Kestrel's Nest sleeps 4, is self catering and is situated in Langebaan town centre. Within walking distance from the beach, shops and restaurants. Linen and towels provided. No pets. Response timeKestrels Nest typically responds to requests in 5-10 minutes.